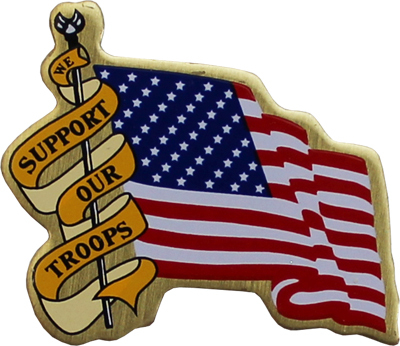 Our USA lapel pins are a great way to show support of our troops!! The lapel pin includes a yellow "Support Our Troops" yellow ribbon cascading down the flag pole. 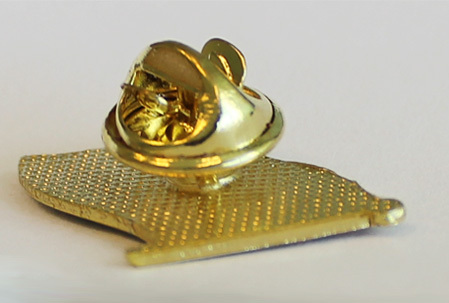 These patriotic lapel pins have a butterfly clasp to secure the pin to your hat or lapel.